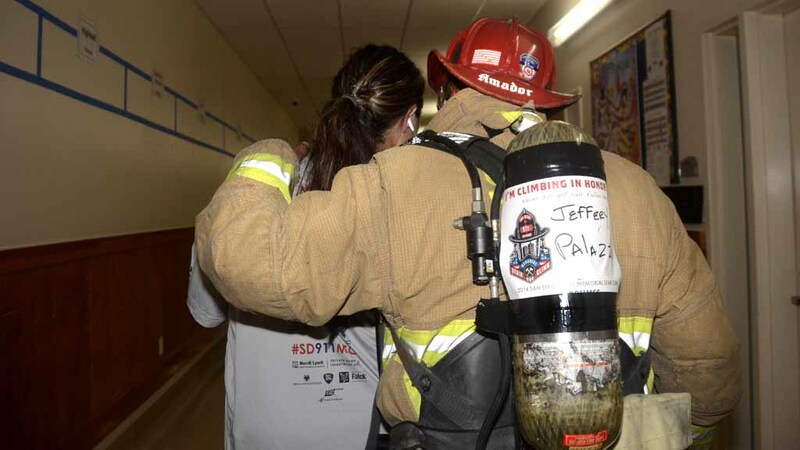 Stair-climbers gathered Sunday morning to take on an annual challenge: scaling 30 flights three times as a remembrance of the fallen firefighters who went up the twin towers on Sept. 11, 2001. 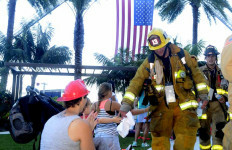 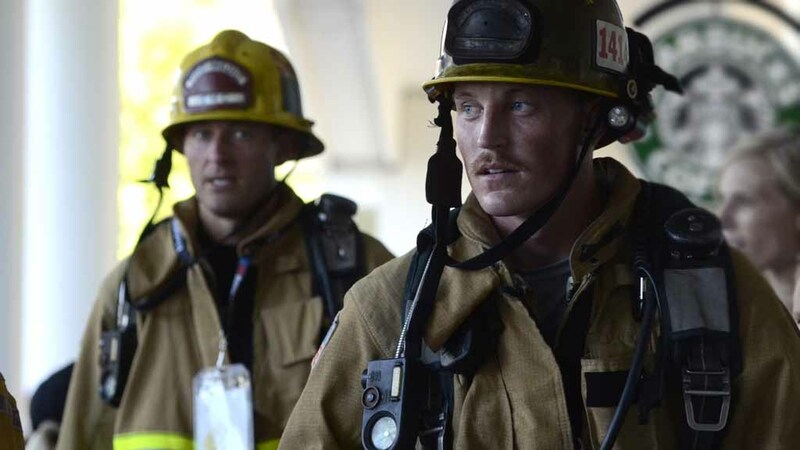 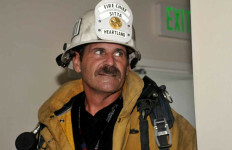 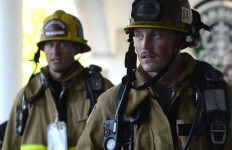 In hot, sticky weather (the stairwell wasn’t air-conditioned), 911 firefighters from across the country were joined by police and local residents at the Hilton San Diego Bayfront. 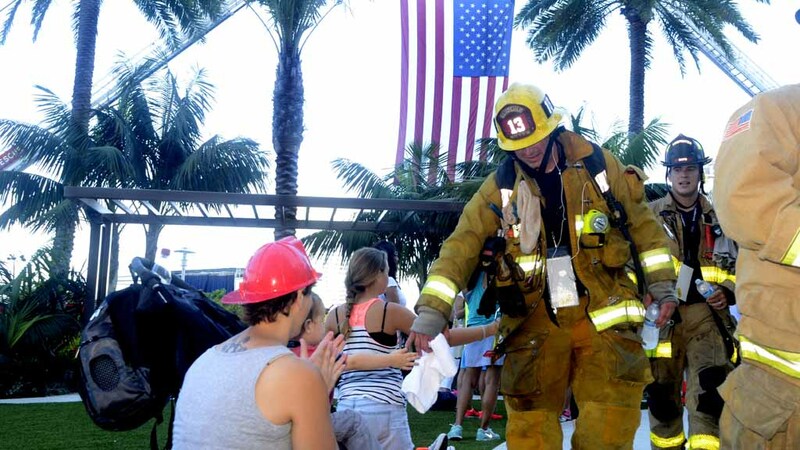 Aid stations every six floors provided drinks in the fourth annual event. 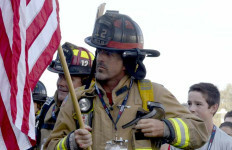 Opening ceremonies included the Navy SEALs sky-diving team and speeches by firefighters and a Navy SEAL. 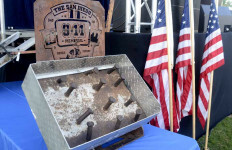 The program also had music, and a beer garden. 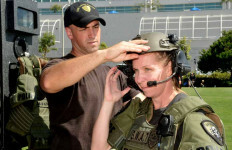 Children had laser tag and a teddy bear rescue experience. Proceeds went to FirefighterAid.org, which helps firefighters and their families. 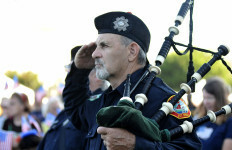 More than $65,000 was raised, according to organizers. 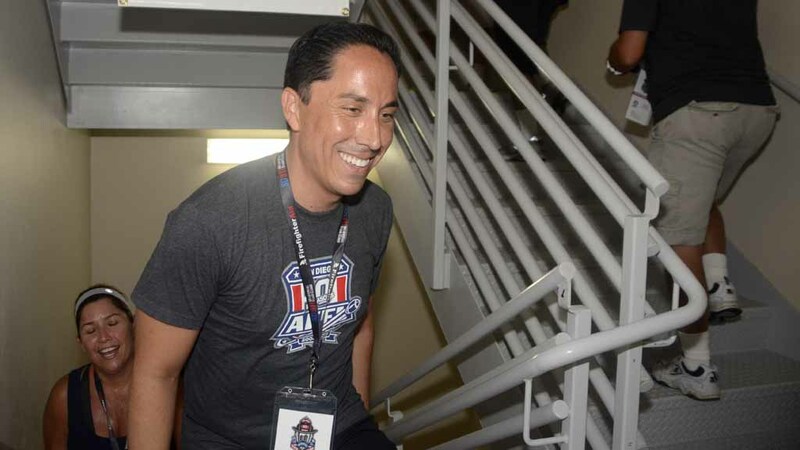 Among the climbing participants was San Diego Councilman Todd Gloria. 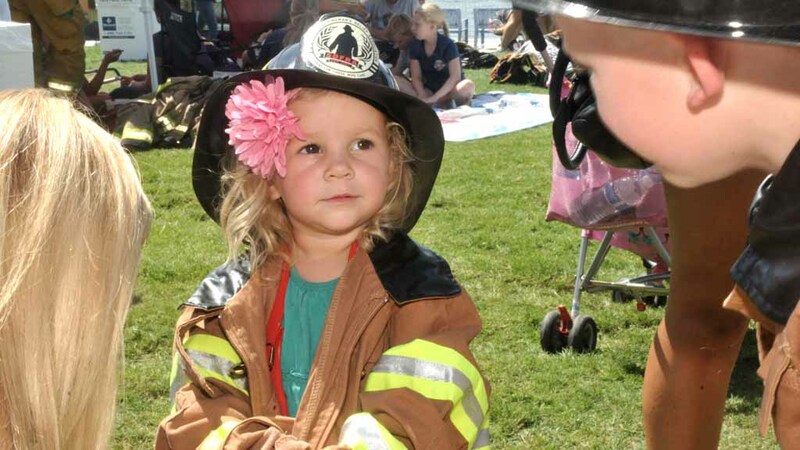 Girl Scout Troop 6743 from Jamul took part in honor of Daniel Ignosci, a fallen fire captain. Scouts cheered the climbers as they made their way around the building. 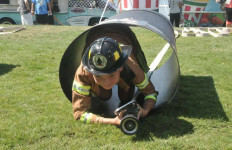 Food trucks also were on site, and fire trucks were on display. 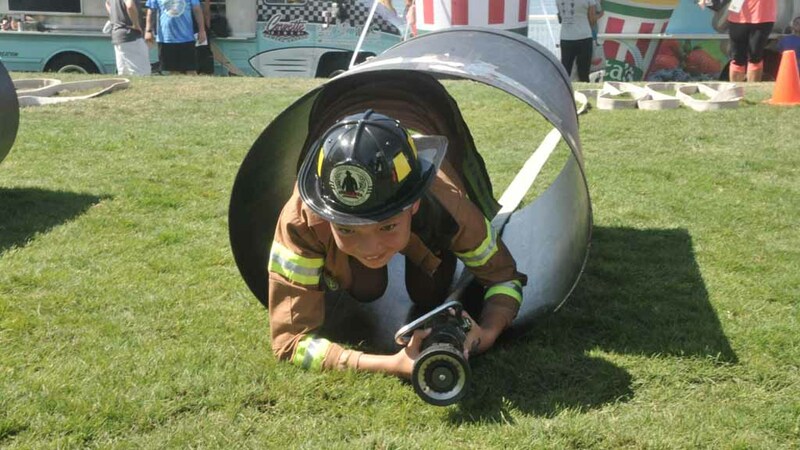 Elfin Forest Firefighters begin their journey toward the stairs. 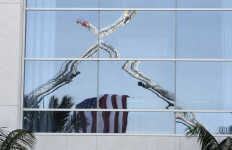 Groups were sent up as the memorable events of 9/11 were recalled. 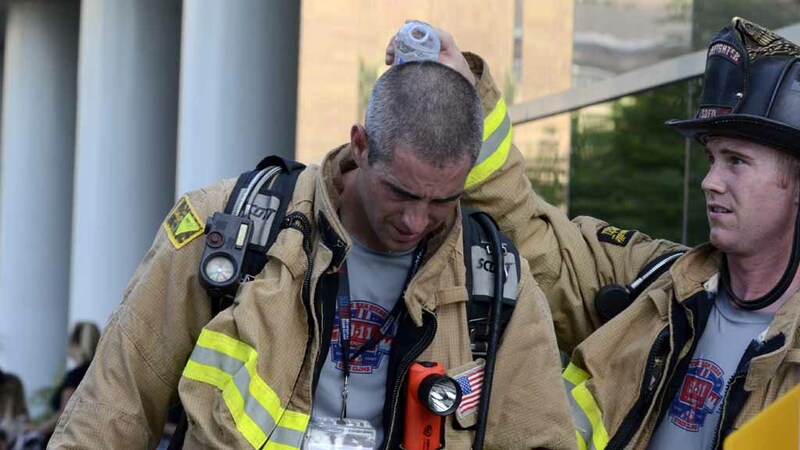 Most firefighters wore their full gear despite the heat and humidity during the 9/11 Memorial Stair Climb Sunday. 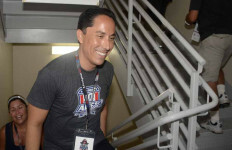 San Diego City Council President Todd Gloria makes his way to the 30th floor. 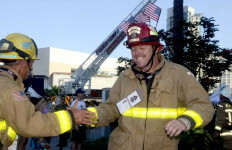 Climbers ascended the 30-floor staircase three times walked around the building to signify the stairs climbed on 9/11. 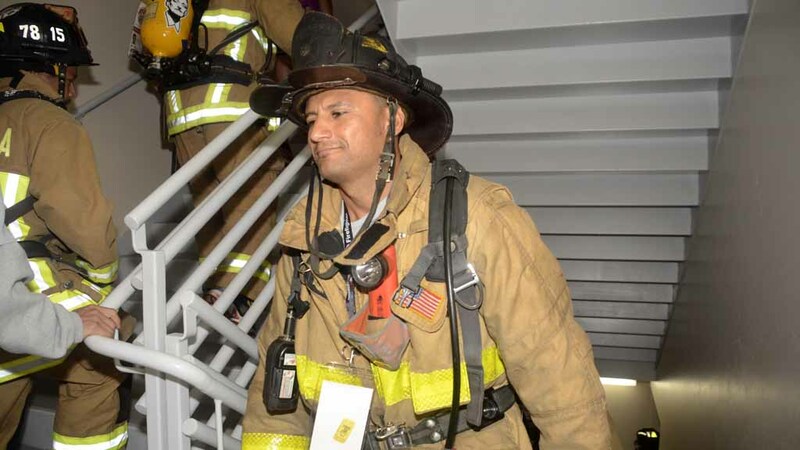 Participants walk down a hotel hallway on the 30th floor. 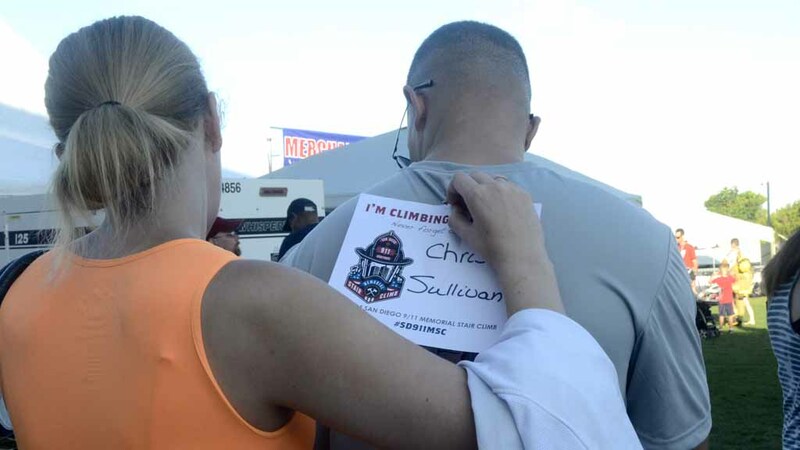 Each of the 911 climbers wore a sign showing which fallen firefighter they were honoring during the climb. 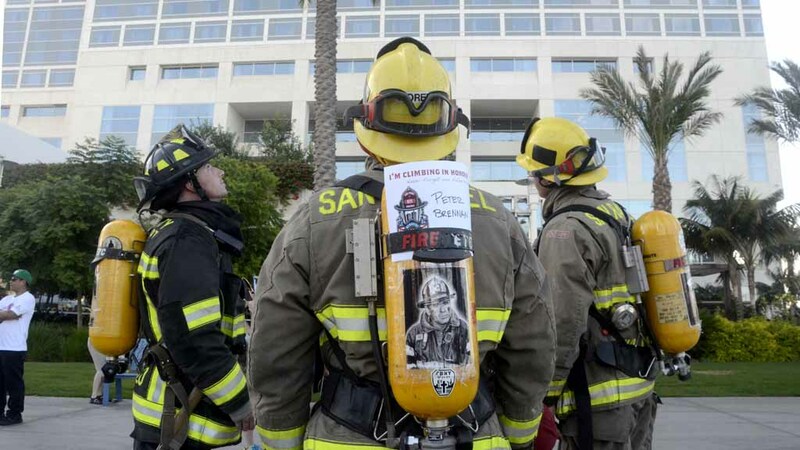 Firefighters look up at the Hilton Hotel before the opening ceremonies. 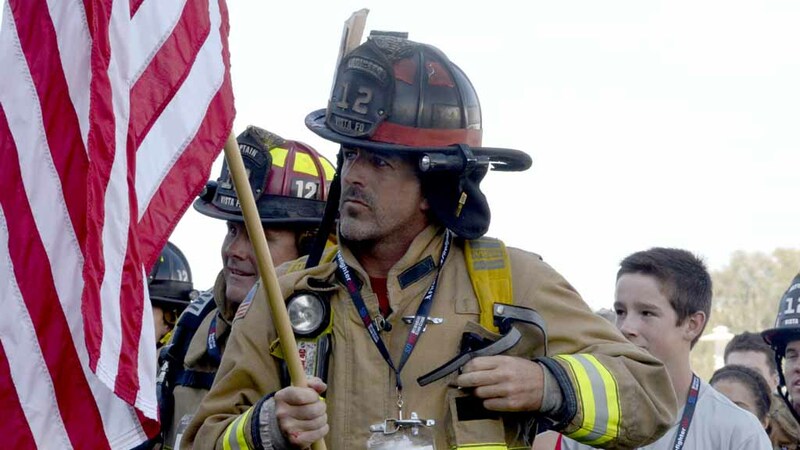 Climbs wore signs with the names of fallen 9/11 firefighters. 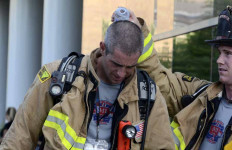 Firefighters and other climbers endured high humidity and a warm staircase. 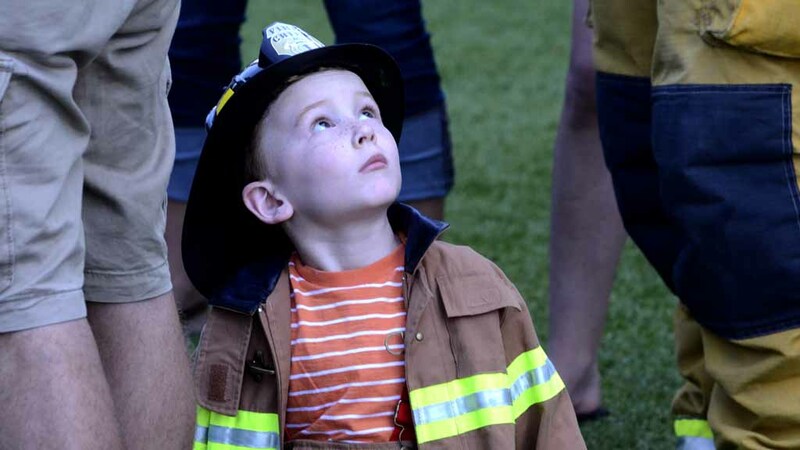 A young family member with the Escondido fire department looks up at the 30-story hotel. 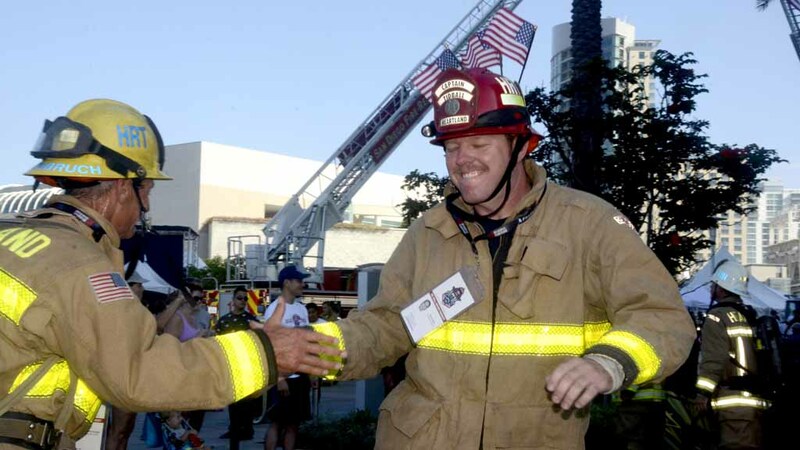 Spectators greet firefighters as they walk toward the Hilton staircase. 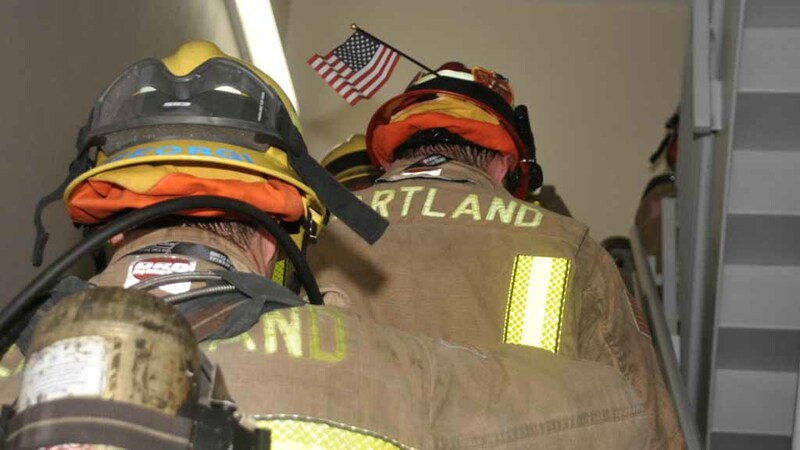 Members of the Heartland Fire Department exchange greetings as the stair climbing journal continued. 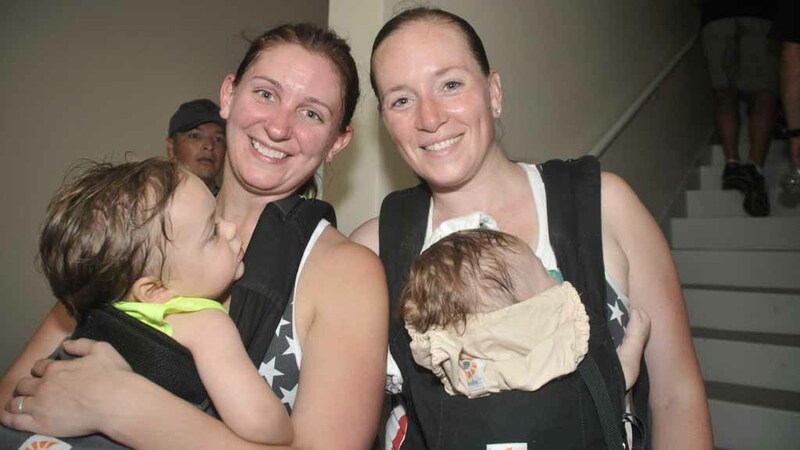 Children were among the participants at the 9/11 Memorial Stair Climb. 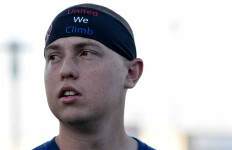 Climbers receive applause from the estimated 2,500 spectators Sunday. 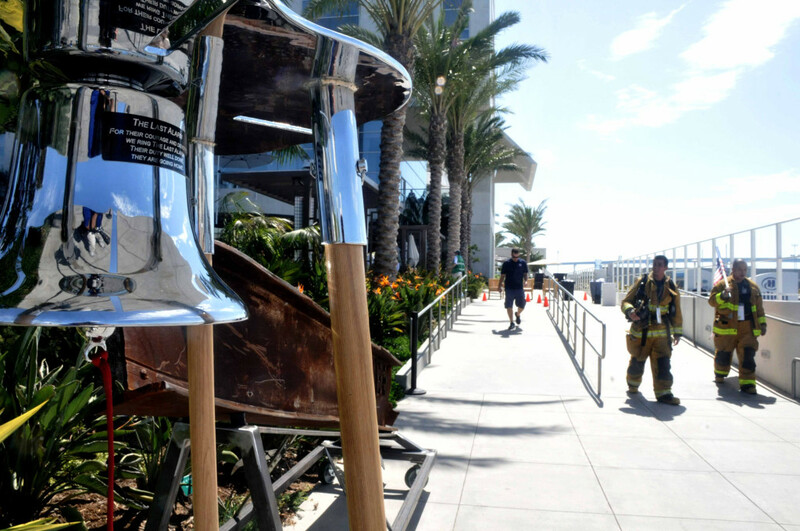 Firemen walk past a bell and a girder from one of the World Trade Center towers on their way to the Hilton staircase. 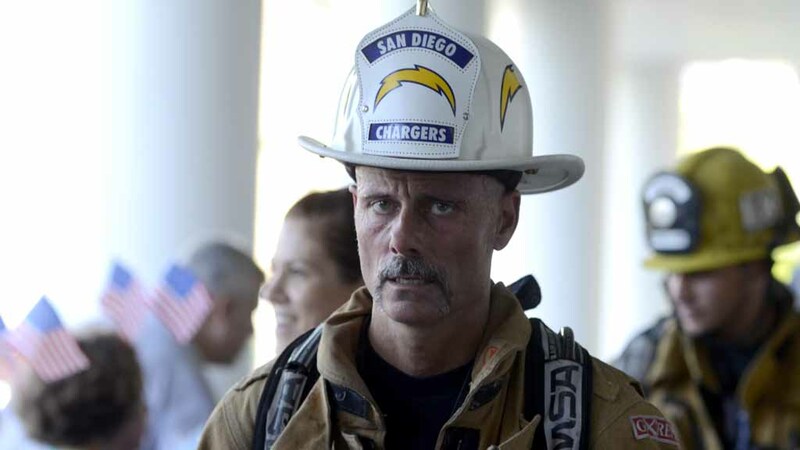 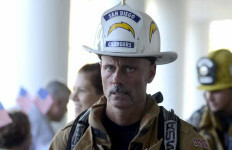 A firefighter and Charger fan continues his journey up 30 flights of stairs three times. 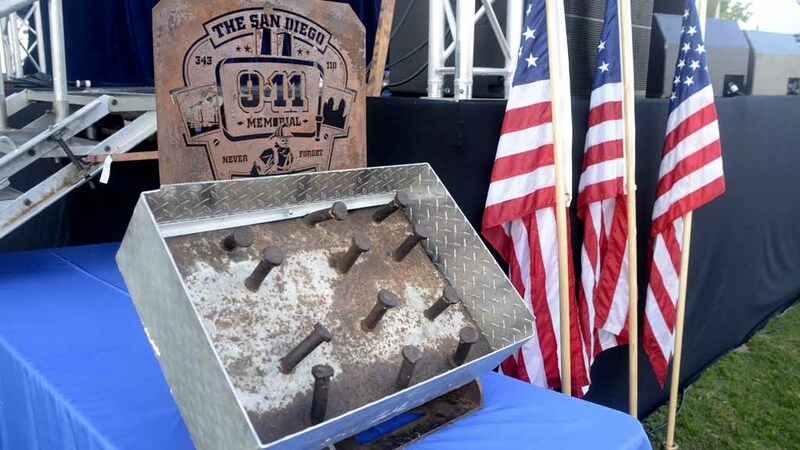 A piece of a girder from one of the World Trade Center towers was on display. 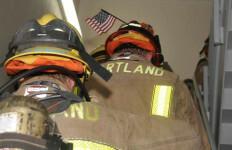 Heartland Firefighters make their way of the stairs. 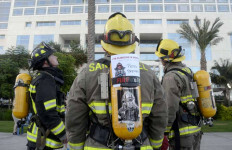 Firefighters stop to pose for a photo on the 30th floor of the Hilton. 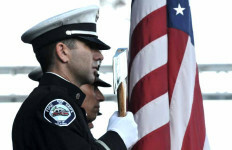 Members of the Honor Guard present the colors. 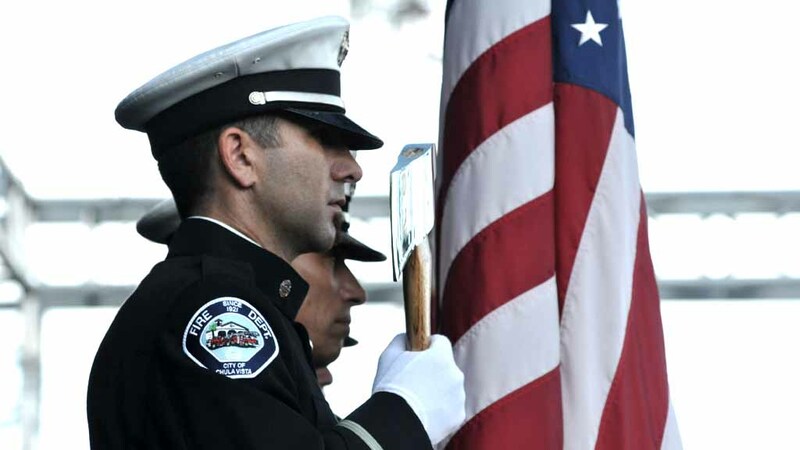 A member of the San Diego County Firefighters Pipes and Drums listens to the Pledge of Allegiance. 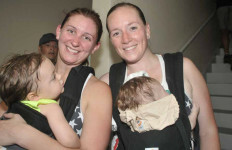 Elizabeth Rahlf and Danielle Holladay carry their infants up the 30 flights of stairs. 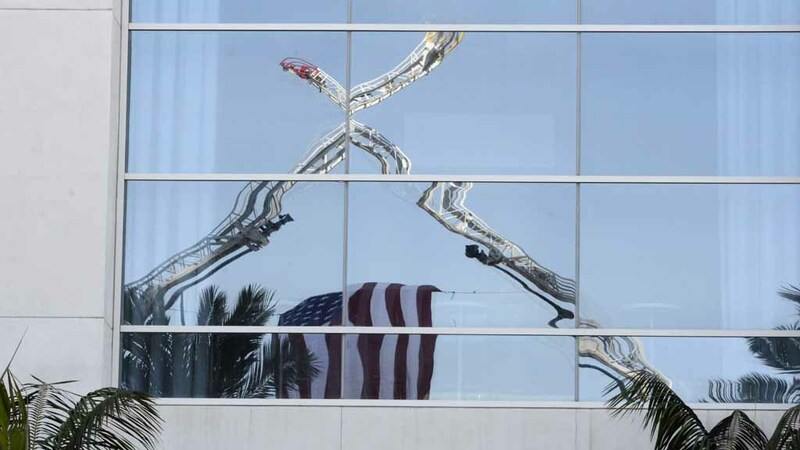 Two fire ladders with a flag are reflected in the Hilton San Diego Bayfront. 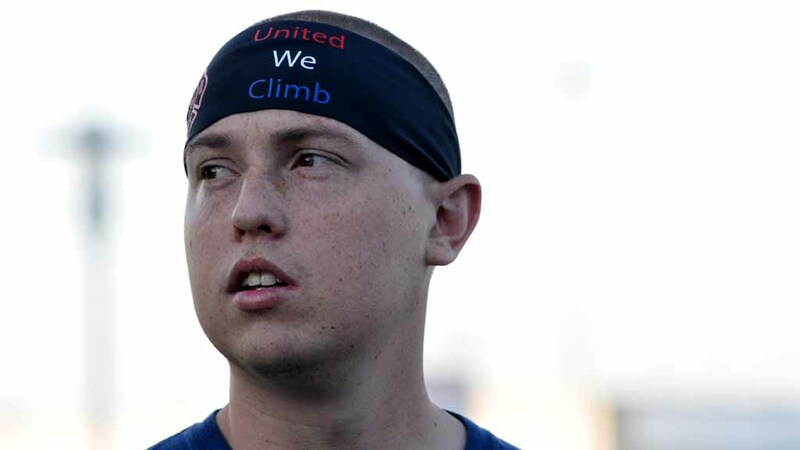 Dylan Dabasinskas of the Julian Cuyamaca Fire Protection District prepares for the climb. 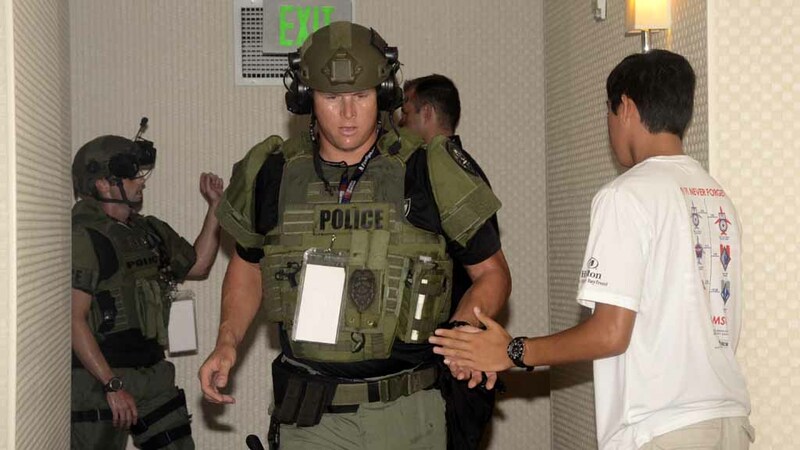 A member of the San Diego SWAT team heads down a hallway after climbing up 30 floors. 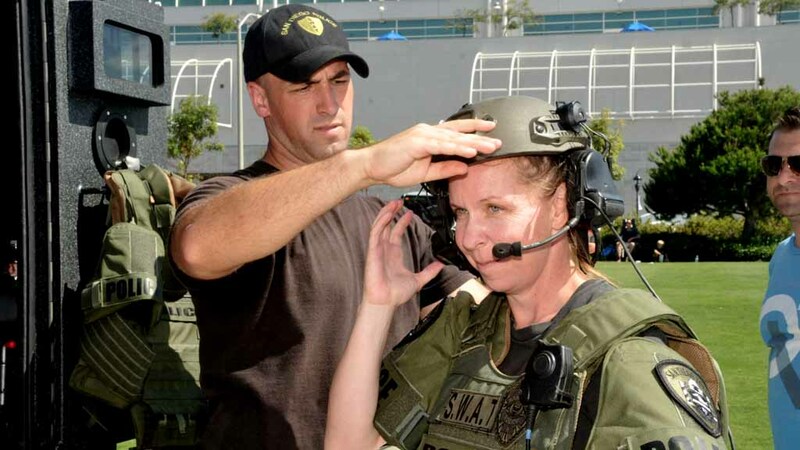 Lorie Stevenson gets suited up in SWAT gear. 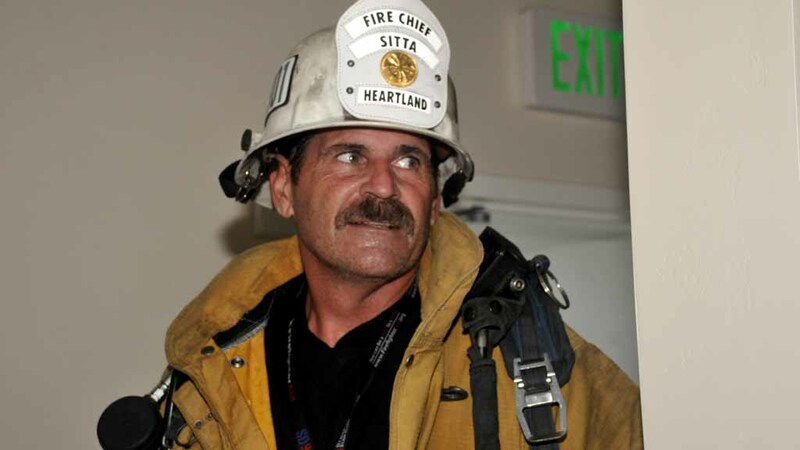 Heartland Fire Chief Rick Sitta begins the ascend up 30 stories. 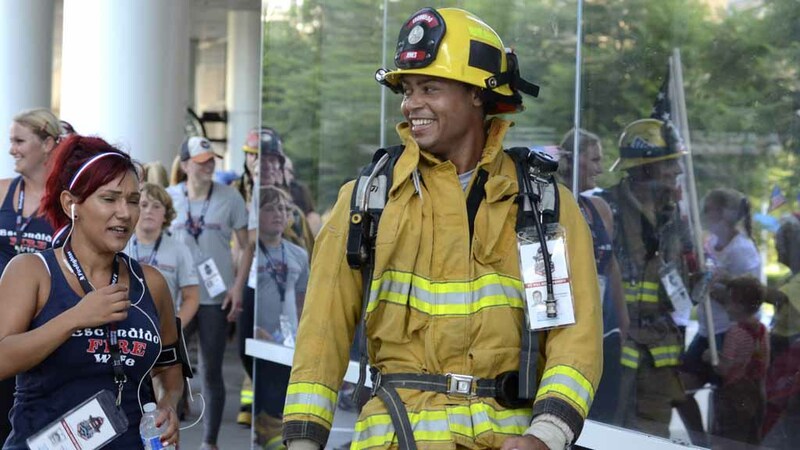 Jasmine Mejia, 12, played firefighter to “rescue” a teddy bear. 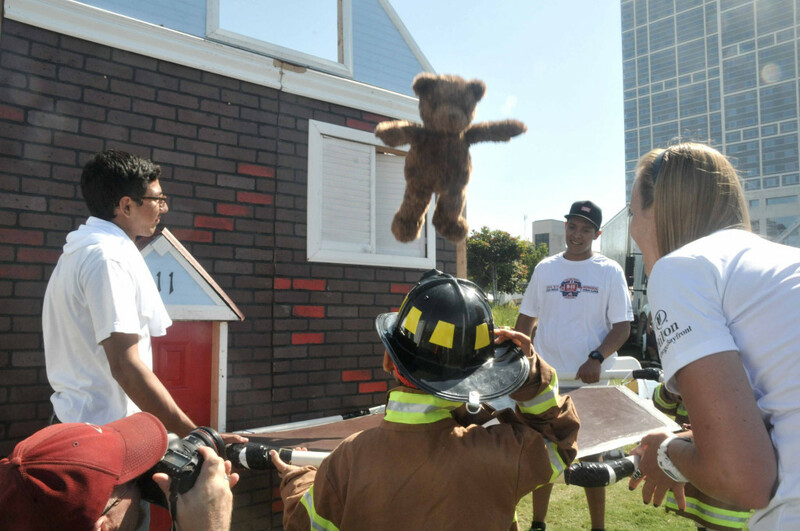 Young children were invited to wear firefighter jackets and “rescue” a teddy bear from a house. 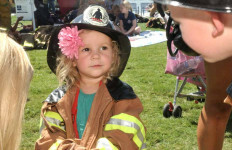 Braelyn Ackerman, 2, gets dressed in firefighter clothes for the Teddy Bear rescue.